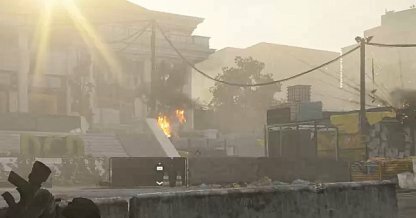 Check out this Tom Clancy's The Division 2 main story walkthrough and guide for DCD Headquarters mission. This includes gameplay & battle tips, mission tricks and techniques, & more. 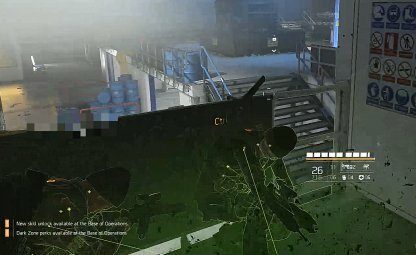 You can lob grenades over obstacles to reach enemies that are hiding behind them. 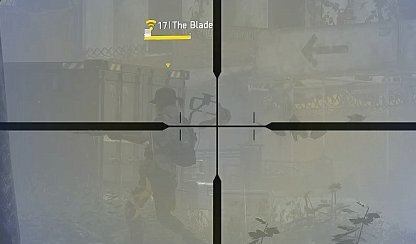 This can deal big damage or eliminate them instantly if they're hit directly by the grenade's explosion. Skills such as the Bombardier Drone, Burster Firefly. 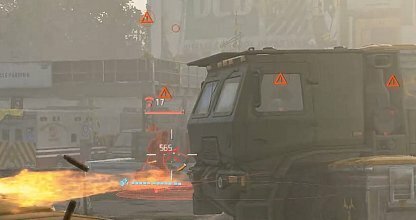 or Firestarter Chem Launcher can deal damage to multiple enemies at once. Utilize these types of skills when dealing with crowd of opponents that are moving close together. Check Out All Skills List! Healing Skills such as the Reinforce Chem Launcher and Fixer Drone can heal both you and your teammates. In the middle of battle, use these recovery Skills to keep your team's health up. 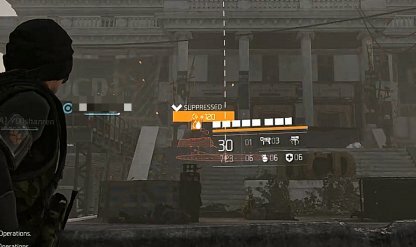 Veteran & elite targets have a different colored health bar - they also have higher HP and thicker armor that can keep them alive longer. It's best to focus fire on them as a team to quickly take them down as they can hit you hard with their attacks. 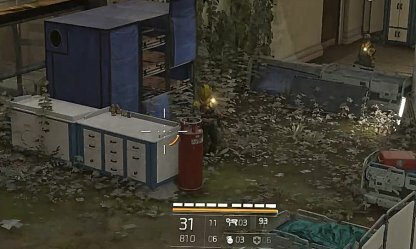 Shooting environmental objects such as explosive cannisters can also inflict damage on enemy health bars. Locate them throughout the field to distract enemies and hurt them, too. The Blade will be able to pinpoint you with her red laser sight. 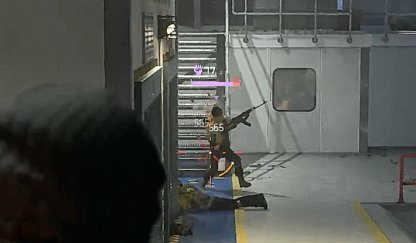 It's best to keep moving around to avoid getting shot at & damaged. 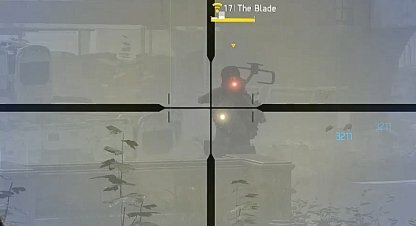 The Blade will move around and look for cover during this fight. Take advantage of when she's running to hit her sides or back to deal bigger damage. 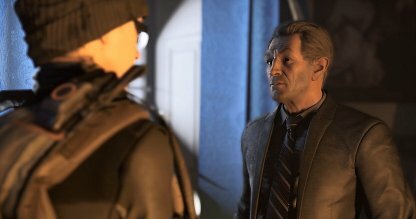 After completing this mission, head back to the White House for a series of cutscenes to meet President Ellis. Doing so will complete the mission "Meet The President".